In March 2018, Instagram issued a press release announcing an update to “give you more control over your feed and ensure the posts you see are timely.” Does this mean the chronological feed is back? Not exactly. Essentially, Instagram is still using its own algorithm to determine which posts users will see in their feeds, but it’s counting when content is posted a lot more. Before this update, Instagram was ranking posts based on a variety of variables, such as how many interactions they received, how quickly users engaged with them, and how long people viewed them for. Now, all those variables are still relevant. It’s just that how recently content was posted will be one of the most significant ranking factors going forward. For everyday users, this means they’ll see newer posts in their feeds more often. Pretty simple right? For brands on Instagram, this calls for a change of strategy. While you still need to post engaging content, there are a few other things the 2018 Instagram update forces you to consider. Now that newer posts are more likely to show up at the top of users’ feeds, timing your posts correctly is more important than ever. To get your brand’s Instagram posts in front of as many eyes as possible, you want your content to be the first thing your followers see when they open the app. Snagging that coveted spot at the top of the feed is all about knowing when your target audience will be online, then posting at those peak hours. This is where tracking your content performance really comes in handy—more on that a little further on. 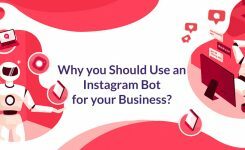 Not only do you need to time your posts perfectly to capitalize on the 2018 Instagram algorithm change, but you also need to post at the right tempo. On the one hand, now that timeliness is the biggest factor in determining which posts show up first in users’ Instagram feeds, your posts have a shorter shelf life than they did when factors like post interactions played a bigger role in determining priority. That’s because if your posts are already a few hours or days old when your target audience is checking their feeds, they’re unlikely to show up near the top and get noticed. So posting more frequently when your audience is online could potentially help your posts appear first in the feed more often. On the other hand, Instagram’s algorithm is still considering factors like engagement numbers and average post view times when deciding which posts should be shown at the top of the feed. What this means is that if you’re going to post more often because of the 2018 Instagram algorithm change, you still need to focus on creating engaging content that people actively want to interact with. The posts that will emerge at the top of the heap now will be those that are both the freshest and the most interesting. An interesting side effect of the more chronologically-driven Instagram algorithm is that organic posts by brands will be more competitive with other posts in the feed. Why is that? Well, after the 2016 Instagram algorithm change, many brand pages reported sharp declines in their post interactions—about 33% on average. This decline happened because, with that fateful update, Instagram stopped putting the newest posts first. Instead, its algorithm became more like the Facebook News Feed algorithm. From 2016 onward, the new algorithm prioritized posts based on their relevance to you, their engagement numbers, your relationship with the poster, and a variety of other variables to present you with a customized feed. Many of these factors, including relationship to the poster, meant that posts from brands on Instagram saw a lot less reach and engagement because they simply weren’t being presented to many users, to begin with. In turn, those low engagement numbers likely caused branded posts to be shown to even fewer users due to their lack of interactions. Talk about a catch-22. So how has the 2018 algorithm change turned this around? While it hasn’t gotten rid of these ranking factors, chronological order playing a much larger role means that if branded posts are new enough, they’re on a more level playing field with other posts that they have been for years. Sounds like good news, right? It’ll take a while before testing proves that this update has given brands a bump up in the feed, but we’re pretty optimistic about the results. If the fresh content is getting a bump from the Instagram feed update, you want your content to be the freshest. To optimize your posts for reach and engagement, you’ll need to publish content when you have the most followers online. So when is the best time to post to maximize reach and engagement? Before this algorithm change, we would recommend 2 AM for a very broad, general audience. Yes, it sounds crazy, but with the number of competing brands faced to show up in users’ feeds under the 2016 algorithm, that off hour was actually the best time to stand out from the crowd. Now, the recipe for success has changed. Marketers can no longer rely on older data on when to post to maximize engagements. So what can you do? Start testing like a mad scientist. The only way you can know for sure which times and days will be more effective for your brand is to start gathering data on reach and engagement with your posts. Try posting at different hours each day and tracking the average engagements and reach you get at each time in a spreadsheet. After a month or so of posting at different times every day, trends will begin to emerge about which times work best for you. Keep in mind that the best time to post on Instagram for you depends heavily on your audience. If most of your followers live on the east coast of America, you should obviously optimize for that time zone instead of for Australian Central Time. If the majority of your fans are college students, they’ll probably be active at very different hours than the 9-to-5 crowd. Knowing your audience well gives you a great starting point for making guesses on your optimal posting times. That’s where Instagram analytics or a social media marketing platform like Falcon comes in. Analytics like these will tell you where your audience lives, how old they are, and more. This will allow you to make more informed decisions when testing posting times. At the end of the day, though, hard data on when your posts are getting the most engagements is your most valuable resource. So start collecting those stats before your competition does and your content will get a leg up. The 2018 Instagram algorithm change is a balancing act in many ways. For Instagram, it’s about balancing the freshness of content in your feed with how relevant and engaging it is for you. For brands, it’s about balancing posting frequently with posting quality content. Of course, one doesn’t exclude the other. But if you find that the more you post, the more your engagement rates drop off, it could be that you’re coming across as spammy or not putting in the same amount of effort into your content. On the other hand, now that relationships between users and the number of engagements per post play a smaller role in determining which posts come first in the feed, it’s worth it to try posting more often to see what sticks. Now that the newest content is emerging at the top of the heap, you want to be the brand with the freshest posts as often as possible. Once you find your optimal posting times, you can test out different content tempos. Our recommendation? Try escalating your posts per week until you see diminishing returns on your engagement and reach. For example, if you’re posting once a day right now, try posting twice a day and track your Instagram analytics to see if your total engagements per day increase or decrease. If they increase, try stepping it up to three posts a day, then four. Once you stop seeing growth in your engagements, you’ll know that you’ve crossed the line from offering a consistent stream of quality content at the top of your followers’ feeds to oversharing. Then it’s time to pull back. By trying a new posting cadence, you may very well find that having more posts at the right times will help your brand get ahead. When working with the latest Instagram algorithm update, there’s something other than the chronological order you need to keep in mind: the rest of the algorithm. 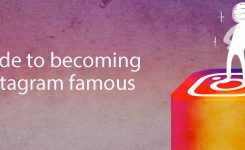 While testing new posting times and cadences could be a major boon to your brand new, you need to remember that Instagram has not phased out its other ranking factors—it’s just weighting them differently. 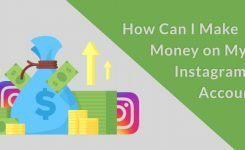 As we mentioned before, factors that influence the priority of your posts on Instagram include how many interactions they receive, how quickly users engage with them, and how long the average user looks at them for. So, to really come out on top with the 2018 Instagram algorithm change, you’ll need to not only post at the right times but also encourage users to engage with and view your posts in a meaningful way. Here are a few pointers to gain quality interactions with your content. If you want, even more, try these 21 Tips to Massively Increase Instagram Engagement. Get on video: Instagram Stories, Live, and standard video posts all offer unique, eye-catching formats for content that gets users to stop and keep watching. Last year alone, Instagram users spent 80% longer watching videos than in 2016. #Hashtag it up: Adding trending, industry-specific hashtags that your target audience is searching for is a great way to extend the reach of your posts beyond your followers. After all, Instagram posts with at least one hashtag get 12.6% more interactions than those without. Filter yourself: Take advantage of Instagram’s native filters and third-party apps to craft a consistent tone for your brand on the channel and users will respond to it. It’s no coincidence that 60% of the best-performing brands on Instagram use the same filter every time they post. Host a contest: People love free stuff, and they love winning. On average, Instagram contests generate 3.5 times more likes and 64 times more comments than standard posts. Embrace emojis: As long as they’re on brand, emojis can work wonders in your captions by grabbing users’ attention visually and giving your posts a more human touch. We’re not joking – posts with emojis have a 15% higher interaction rate than those without on average.